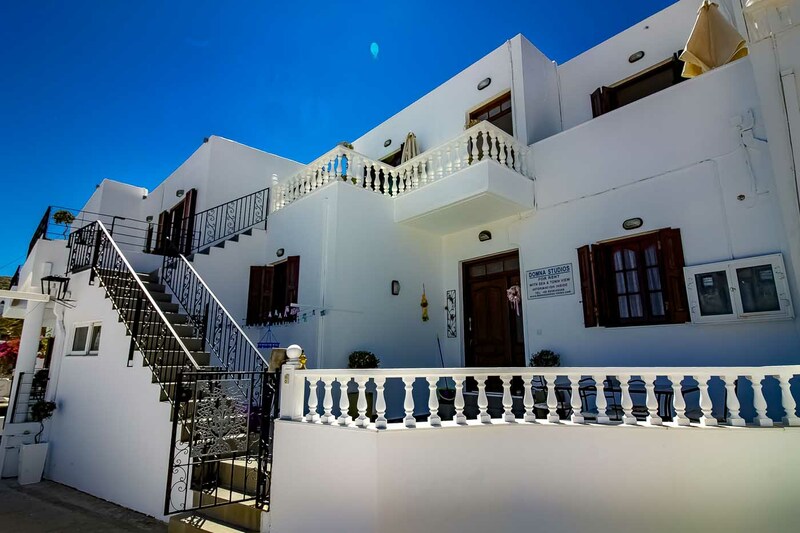 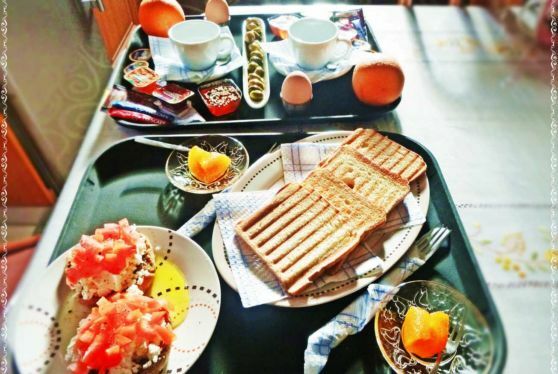 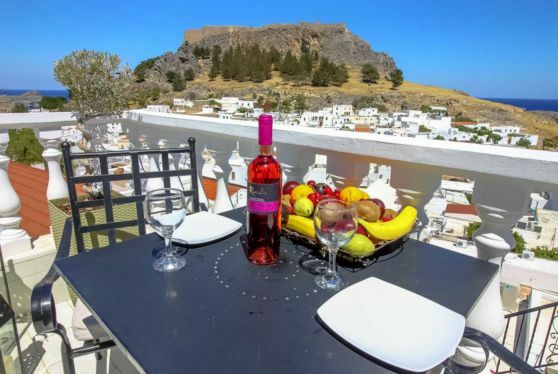 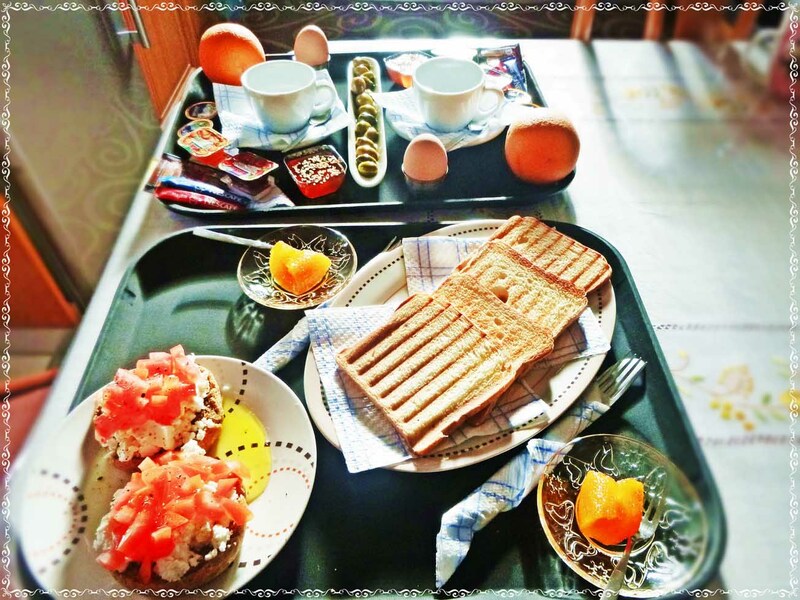 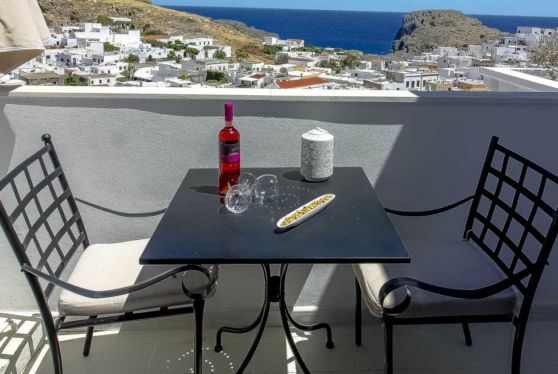 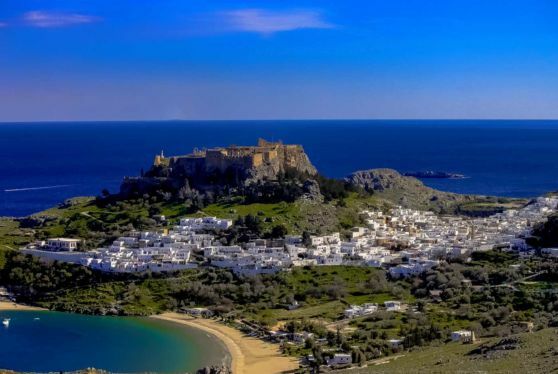 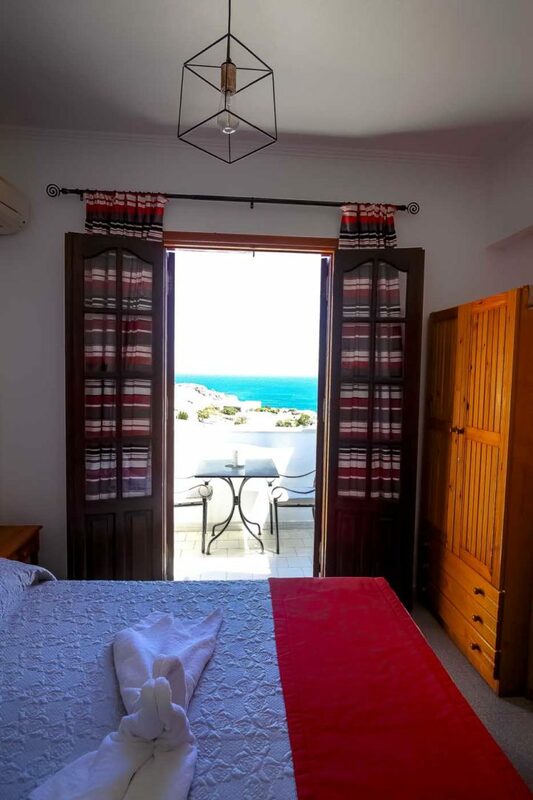 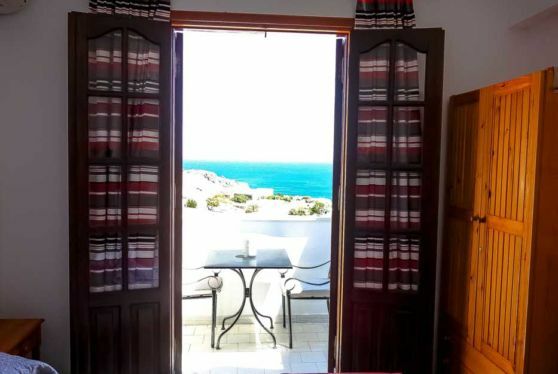 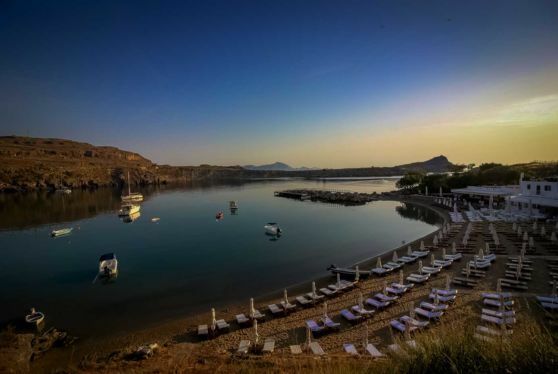 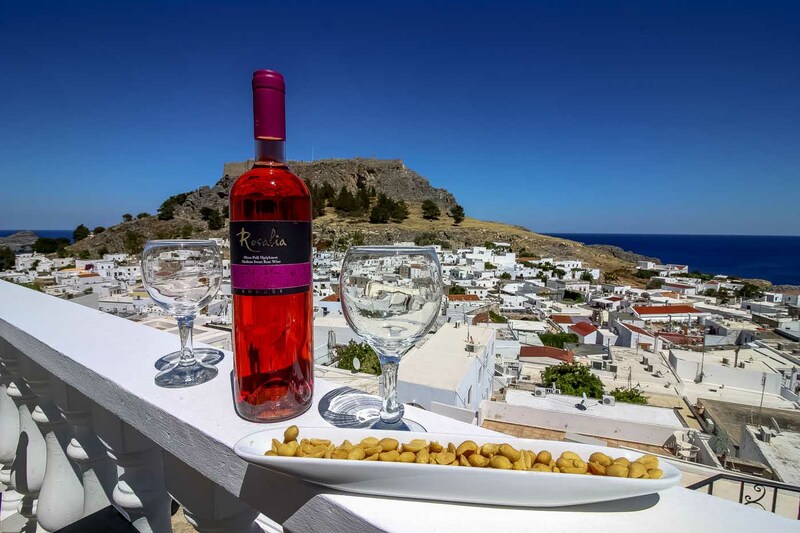 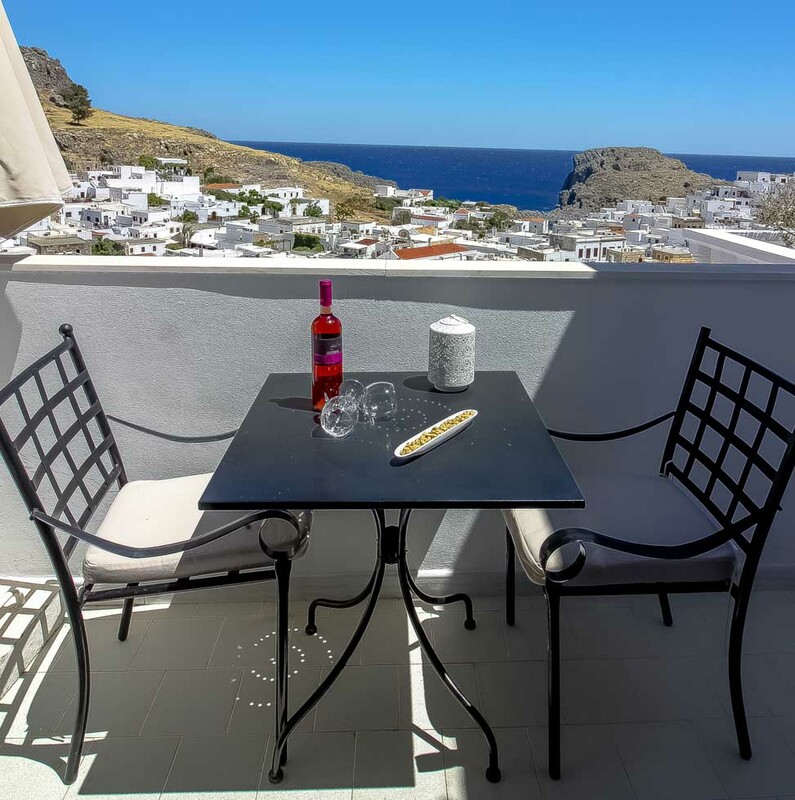 Room Description: This air-conditioned studio situated in a quiet location within Lindos has been recently renovated and decorated. 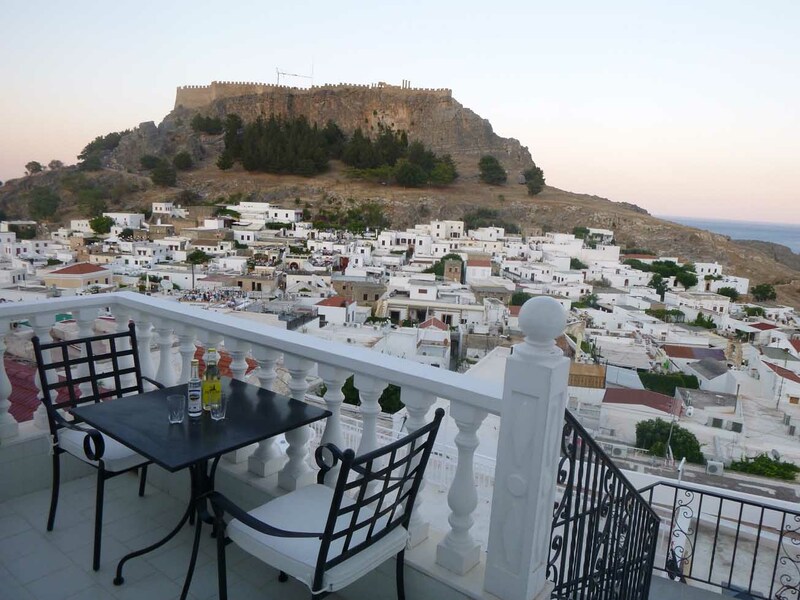 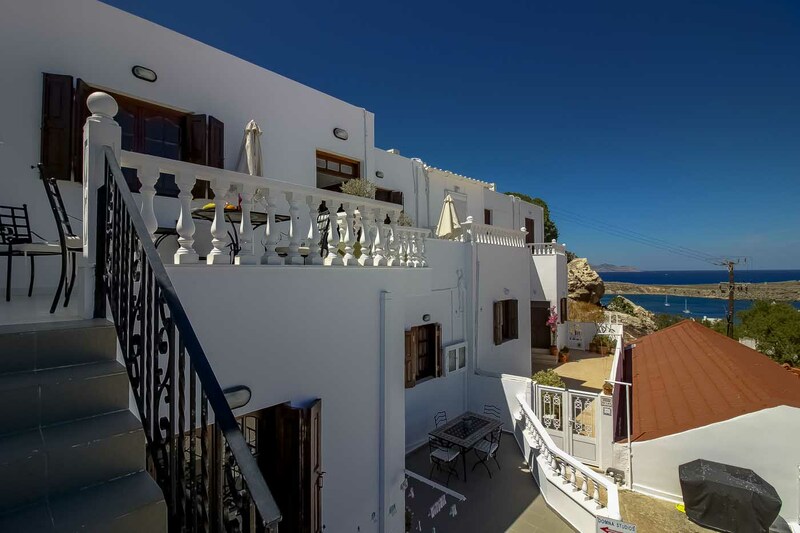 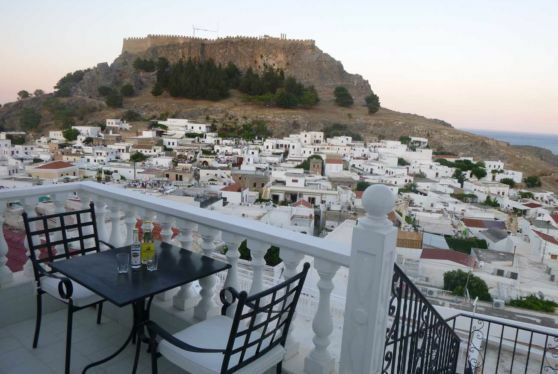 Superb views of the Aegean Sea the old town and its acropolis from its balcony.Free Wi-Fi. 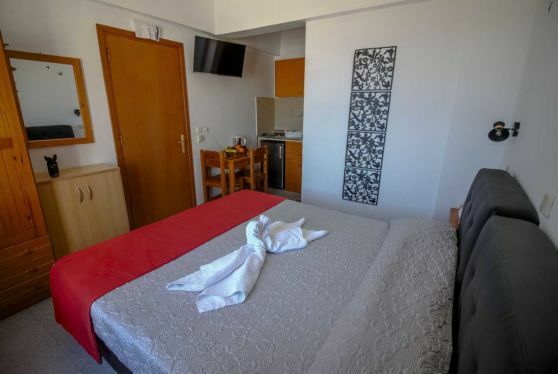 Includes: -kitchenette with fridge, cooking hobs and kettle -cable TV -safe -hairdryer. Room Facilities: Safe, Air-conditioning, Heating, T.V with satellite channels, Hairdryer, Free toiletries, Kitchenette with fridge, Electric Kettle for Coffee/Tea, kitchenware, Iron, Free Wi-Fi and internet.